We have the same phenomenon in our house…I have a huge bowl of blueberries hanging out in my fridge…time to get creative. Great post, Dana. Scones freeze very well. You can even make the dough up, cut them into triangles, then freeze them hard, and bake them to order when you have, um, house guests! 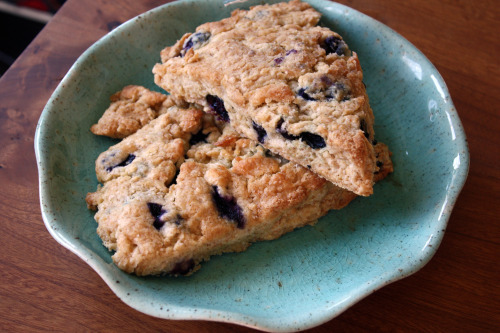 If your house guests happen to love scones. Which I’m quite sure some of them do. Probably. Children are quite strange about their likes and dislikes… The grass is always greener I suppose. I’m more of a savory breakfast girl myself, but I will GLADLY take scones for dessert! Delicious. As for blueberry recipe ideas. Ice cream. 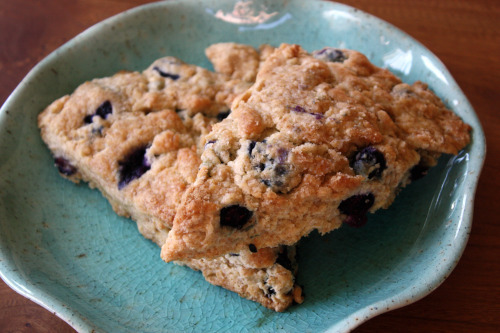 Blueberry Boy Bait from smittenkitchen… It’s seriously delicious. I added peaches last time. Still delicious. And for something a little more savory ( I should have just included this above but I remembered it after posting ).. i love adding blueberries to cornbread. This is the first visit I make to your blog. it is a lovely spot. I have not baked scones for a long time. They are so much fresh from the oven.